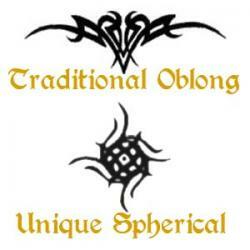 Over the last few years, tribal lower back tattoos have once again been growing in popularity. This type of tattoo has generated a lot of attention and not all of it is good. Lower back tattoos mean more than the implication of being a "target" as stated in the movie Wedding Crashers. Those who receive tribal tattoos do so because they are the epitome of chic. They look good and are incredibly striking. Men and women both enjoy tribal art tattoos. The work behind the tribal tattoo is much deeper than looks, as it is rooted deeply within the cultures of Polynesia and Southeast Asia. Tribal Tattoos are monochrome in nature and were created with elaborate hand techniques and tools. Tribal tattoos were used to depict ones journey in life, as a means to psyche out enemies in battle or have a religious significant. The art of tribal tattoos has been found on mummies from the Bronze Age with tattoos all over their body. 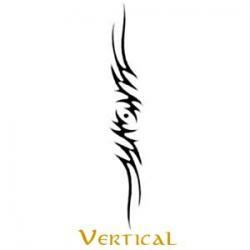 This style of tattoo is more popular among women as it accentuates the natural female curve and is typically representative of one's sexuality. Some men also get these but they are typically one of many pieces meant to fill the entire scope of the back. The popularity of the lower back tattoo had dwindled over the years but has since begun a comeback. Lower back tattoos are usually oblong and placed horizontally so that the design falls naturally along the curvature of the back. It is considered to enhance the female form as it draws attention to the area. Although considered a fairly new style of tattoo it has been around for hundreds of years and in fact has connections to several ancient religions. The lower back is revered by many religions as a storage place for spiritual energy. This same idea is found within the chi force and meridian fields talked about in eastern cultures. Yoga is also a proponent in the theory of energy being found in the lower back and the tattooing of that area was thought of as a way to release this stored energy in order to tap into it. Despite the possible negativity association with a lower back tattoo you should get something that you like and can be proud of and if it happens to be on the lower back, then so be it. 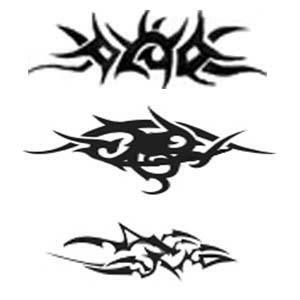 The lower back tattoo may make another strong showing as artwork and there are different styles you can employ in order to make the look unique.